Hurricane Ivan spun off deadly tornadoes, swamped streets in storm-weary Florida and battered the Alabama coast, drenching other southeastern states with heavy rains and knocking out power to hundreds of thousands. Ivan was the deadliest hurricane to hit the United States since Floyd in 1999, but it could have been worse, as the storm missed New Orleans. In all, the hurricane was blamed for 70 deaths in the Caribbean and at least 33 in the United States, more than half of them in Florida. Daylight yesterday really brought into clear focus just how much damage this storm has done, reports CBS News Early Show co-anchor Harry Smith from Orange Beach, Ala.
And more bad news could be coming: Tropical Storm Jeanne looms in the Atlantic on a track toward the southeastern United States — and, possibly, Florida. It could be the fourth hurricane to hit the Sunshine State since Charley struck in mid-August. It read: "1 Charley, 2 Frances, 3 Ivan, 4 Sale." More than 2 million residents along a 300-mile stretch of the Gulf Coast from New Orleans to Panama City, Florida, cleared out as Ivan closed in. Ivan weakened to a tropical depression after coming ashore early Thursday, but it continued to spin off tornadoes and cause flooding across the southern United States, already soggy after Hurricanes Charley and Frances. In North Carolina, Ivan's heavy rain and wind forced evacuations along rivers, knocked out power to thousands of residents and sent trees crashing into homes across the western part of the state. President George W. Bush planned to visit Alabama and Florida to survey the damage on Sunday, the White House said. Insurance experts put Ivan's damage at anywhere from $3 billion to $10 billion. Hurricanes Charley and Frances had combined estimated insured damages between about $11 billion and $13 billion after striking Florida in the past month. The troika of hurricanes — Charley, Frances and Ivan — have the potential to give Florida's $50 billion tourist industry a "black eye" in the long term, said Abraham Pizam, dean of the University of Central Florida Rosen College of Hospitality Management. If next year's hurricane season is anywhere near as busy, "then people will definitely not come here during the summer time, and that means great losses," Pizam said. "Florida might go back to where it was 35 to 40 years ago, which was as a winter destination." From Gulf Shores to Orange Beach, Ala., Ivan's 16-foot storm surge leveled everything in its path. Swimming pools were lifted from their foundations. Boats tossed into backyards, reports CBS News correspondent Lee Cowan from Mobile. Ivan came ashore with 130 mph winds near Gulf Shores Beach, early Thursday, but it was the so-called Panhandle of northwestern Florida — squarely in the northeast quadrant of the storm, where the winds are most violent — that took the brunt. In Escambia County, home to the city of Pensacola and some 300,000 residents, at least seven people died in the storm, including one who suffered a heart attack at a shelter. "Some of the houses, everything inside was gone out of one side — like a heavy wave of water hit it and spit the stuff inside of the house out," Sheriff Ron McNesby said. In one neighborhood of Pensacola, at least a half dozen homes and businesses were demolished — some swept clear off their foundations. The hiss and stench of leaking gas filled the air as stricken residents waded through calf-high water collecting what belongings they could. Doug Pacitti, a deck hand on a charter fishing boat, lived with his friend and 4-year-old son across the street from the bay. On Thursday, he stepped over crumbled bricks, broken dishes and plywood to survey what was left of the house he rented. Where the kitchen should have been, silverware and skillets sat under an open sky. The refrigerator was propelled into the back yard, where it came to rest under a fallen pine tree. "Everything's gone — everything," said Pacitti, 31. "Three thousand dollars worth of fishing poles. The antique dishes my grandmother gave me — gone. Even my kid's toys." A storm surge of 10-16 feet spawned monster waves. About 400,000 homes and businesses in eight Florida counties were without power. Federal Emergency Management Agency director Mike Brown said Friday that another 500,000 people in Alabama were also in the dark, and warned that some of those may have to live without electricity for up to a week. 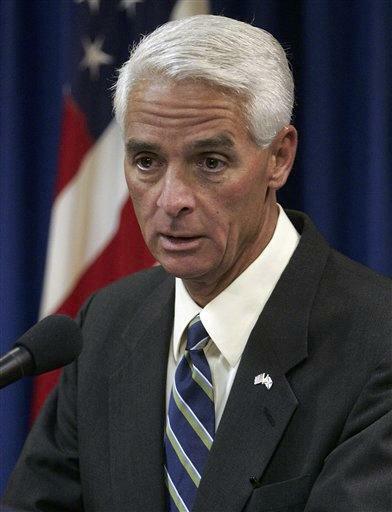 "Virtually the entire state of Florida is a disaster area," Brown said on the Early Show. "These people are just worn out from these storms." In Louisiana, Gov. Kathleen Blanco was thankful for Ivan's narrow miss. "Louisiana truly is blessed," Blanco said, asking evacuees to "remember to be thankful that most people are returning to safe, sound, whole homes." If Louisiana was blessed, Florida remained cursed. By the hurricane center's tally, counting deaths directly caused by a storm as it hits, Ivan was the deadliest hurricane to hit the U.S. mainland since Hurricane Floyd killed 56 people in 1999. Ivan's unofficial death toll included 14 in Florida, two in Mississippi, three in Georgia, one in Alabama and three in North Carolina. In Louisiana, four evacuees died after being taken from their storm-threatened homes to safer parts of the state. For Floridians weary of all the worry, aggravation and heartache of the past month, there was one final number to consider Friday: There are 73 days left in the hurricane season.